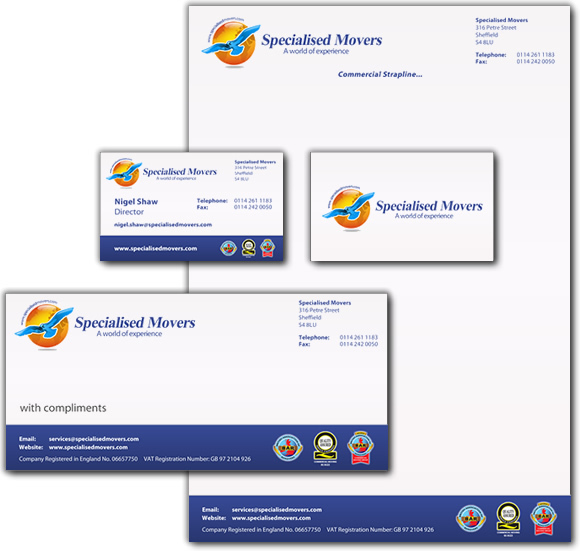 Your corporate identity, and in particular your business logo - whether online or on physical media, is key to aligning your business with your products and services. Zooble Technologies offer a logo design or refresh service as part of all our website design projects if required, and once you have your online identity, you can complete your marketing solution and let Zooble design your letterheads, business cards, compliment slips and leaflets - ensuring brand continuity flows throughout your physical and virtual products. Our branding package is competitively priced and can include additional items such as e-mail signatures, powerpoint templates, and word templates that fully complement your branding. You can arrange printing of all your stationery yourselves or Zooble can manage this for you with our range of quality print partnerships. 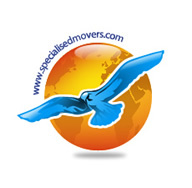 Specialised Movers' old website consisted of a 5 page, landscape-orientated structure that gave limited opportunity to describe the full range of services offered by the Company and benefitted from little or no SEO (Search Engine Optimisation) achieving poor Google rankings.. 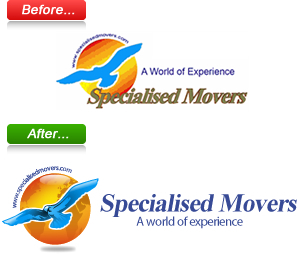 Established brand colours - Royal Blue - were retained throughout the new website and the logo was given a drastic "web refresh" (see above) with a spinning globe and the bird and company name "flying in" to settle in place on the logo. Michael Jay Services contracted Zooble Technologies to provide an "out of the ordinary" e-mail template/signature that could be used to send to potential and existing clients. 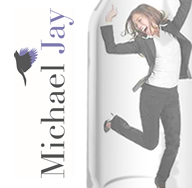 The design brief was to provide imagery that represented Michael Jay's key message - that of "delivering quality job candidates to customers' doorstep" and the Manager wanted to follow this through with the Milk Delivery bottle theme. Our talented Graphic Design Team came up with the template to the right, which was converted to e-mail format by our Web Developers, and Michael Jay were thrilled with the design!